A few weeks ago we put our kids to bed after another amazing day of surf and sunshine, completely oblivious as to what was happening in our adopted country. Shortly thereafter we began receiving messages of love and concern from our Nicaraguan friends asking how they could help us. This is what makes this country so incredible — in a moment of national crisis, our friends were reaching out to make sure that we as guests in their country were okay. This incredible support system that we have been able to foster in Nicaragua is what makes us love this place so much and it is a theme that has stuck with us from day one — the people in our community and those across the country are some of the most genuinely kind and caring people we have met throughout our international travels. It was this strong sense of community that first called us to Nicaragua and it is also what keeps us rooted here today. Now, let me back up a little bit — as many of you know, a few weeks ago we learned with great sadness how protests that began as peaceful marches on April 18th had turned to violent clashes. This led to a horrible 3 days in Managua and other major cities across the country that left many injured and some even dead. We now understand that this began as a response to changes of the national pension system that sought to increase worker and company contributions while decreasing pension benefits. Thankfully the clashes had calmed by Sunday, April 22nd and transformed into the largest peaceful march in the country’s history. Hundreds of thousands of people, from all walks of life, marching across the county in unity against the violence and calling for political change. This was met with a promise by the government to meet with all parties for a dialogue, with the intention of healing and creating a better future for all. Although we feel a great sadness to families that have been affected by this series of events, we are happy to report that as of last Monday, April 23, protests turned to peaceful marches and the country is finding its footing again with few incidents. 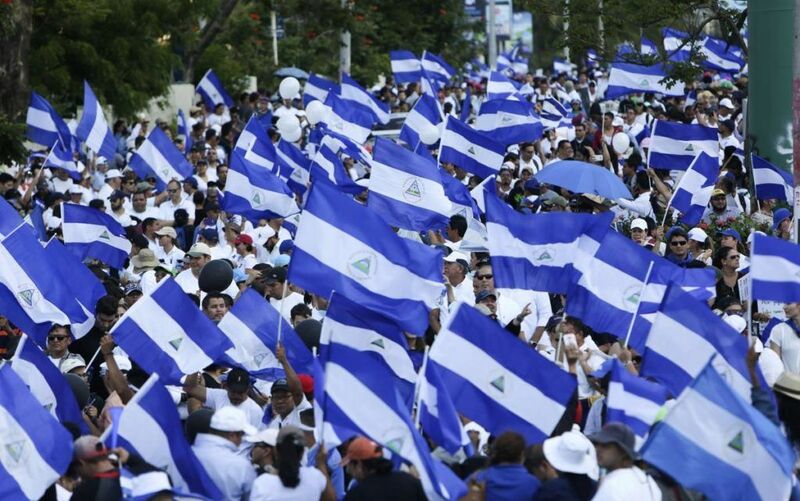 Just yesterday there was another massive peaceful march in Managua for democracy and justice with over a half a million people participating from all walks of life. Our hearts are with those who have suffered so their voices can be heard, and we hope for a peaceful resolution to a challenging time for the prosperity of an incredible country. As news around these political protests began to spread, we have understandably received many concerns from upcoming guests about traveling to Nicaragua. We would like to let everyone know that life at our remote location in northern Nicaragua has been completely unaffected and continues on as normal. 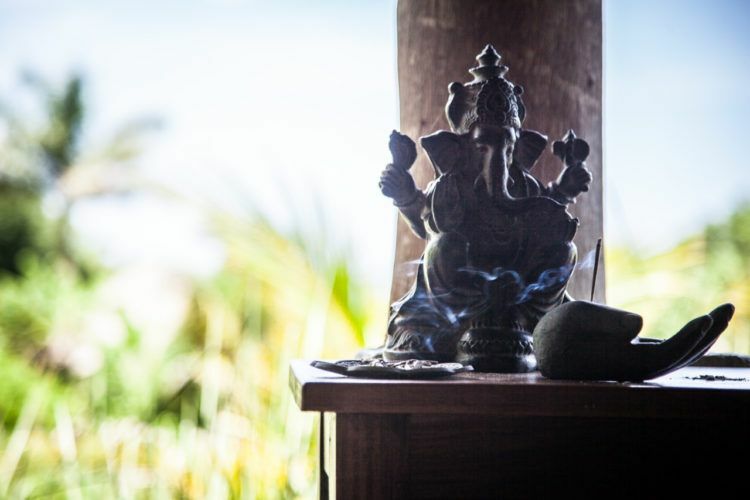 We have been hosting guests throughout these past weeks and have had no concerns whatsoever — it has been business as usual with our days filled with surf, yoga, adventures, new friends, beach bonfires and plenty of new memories. We understand that there have been travel warnings issued by the US embassy; however, this original travel restriction was placed prematurely before the peaceful demonstration on April 23rd. As far as we are aware, no other countries have issued similar warnings. Given the history of the USA in Nicaragua it is hard for us not to consider that this travel ban isn’t at least partially motivated by political reasons. We are committed to keeping a close watch on what is going on and promise to let any future guests know if we see any reason that things have become unsafe to travel. In the meantime, we pledge to continue our work towards positive change in our surrounding communities through our non-profit organization Waves of Hope. Our vision is helping to develop well-educated, healthy and prosperous communities with equal opportunity for all those seeking education and employment. Through these initiatives we do our best to help make positive changes to the lives of those people that are gracious enough to share their beautiful country with us. Why You Should Visit Now? There is a deep concern country wide amongst both the locals and foreigners that have come to call Nicaragua home as to what these 4 darks days in April are going to do the tourism industry in Nicaragua – an industry that so many rely on for their livelihoods. This is a country with a tough history that many people feared to visit for too long BUT today it is an incredibly inviting place, with beautiful beaches, mountains, lakes, wildlife, historic colonial cities, active volcanoes and more. Even with all this available to explore, the true experience of Nicaragua is getting to know the people. They are always more than happy to share, to talk, to help in any way they can and they are very proud of their country. However, today they are worried. They are worried that all the hard work of the past 30 years,rebuilding this nation into one of the top up and coming tourist destinations in the world, will be all for naught. We ask that you do your own investigations – connect with your hotels, tourism operators, friends and so on to find out what is really happening today in Nicaragua. Do not fall victim to an overly sensationalized media. The rains are on our doorstep and we’ve been waiting for it. Everything comes alive and transforms in what seems like a day. The green season generally starts early May and continues until November. During that time the plants come alive with flowers, fruits and blossoms, the temperature cools down, the waves get better and more consistent, and the best part is that it’s still almost always sunny during the days as the rains are brief and generally come in the evenings. Did I mention that ripe mangos are everywhere… not even the cows can eat them all — and our gardens are full of fresh greens and herbs! The term “empty waves” gets thrown around a lot, especially in our part of the country where the term once had clout… like 10 years ago. Times have changed, and although this part of Nicaragua still by far boasts the most mellow crowds, now we are looking at a window (hopefully brief) where you can surf this region like it really was 10 years ago… empty. Somewhat like the cliché statement from a salty old surfer, “times have changed brah… should have seen it 10 years ago”. Well, now you can. Get in touch with us about the surfers package and for any bookings this May you will receive a 20% discount on your stay! This has been our modus operandi from the very beginning in 2010 when we first registered our non-profit organization Waves of Hope. Since its inception we have invested over $400,000 in our surrounding communities in the form of education, healthcare, infrastructure and environmental initiatives. Like much of Nicaragua, our region is heavily dependent on tourism for sources of income. We are the largest employer of locals in the region and pride ourselves on supporting sustainable tourism and growth. After these recent events we are concerned about the possibility of an unwarranted drop in what was recently a flourishing tourism industry. 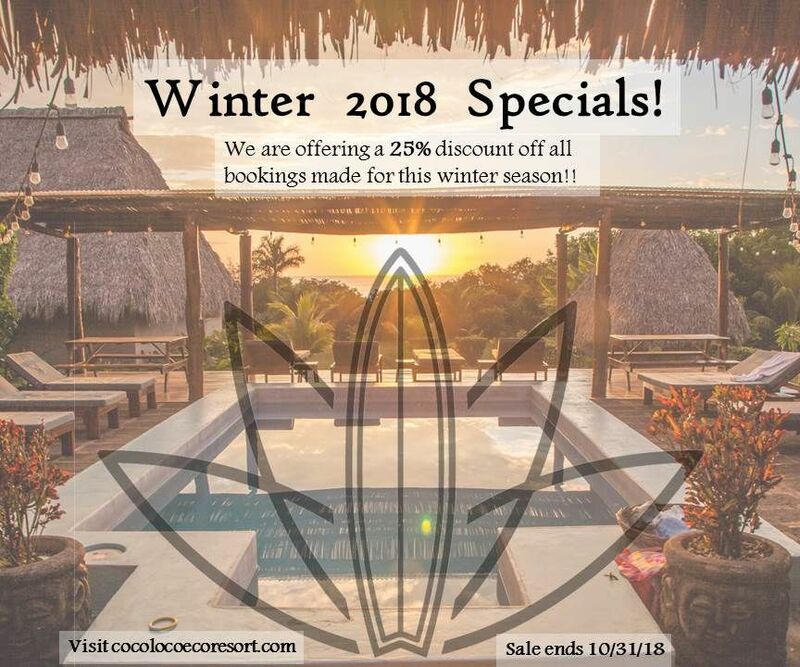 We hope that this will not be the case and we feel incentivized to continue our social programs in the area though Waves of Hope and Coco Loco Resort. These programs have only been possible through the support from our guests and othe partner organizations and we hope to continue to make a positive difference to the generations to come. Learn more about our programs and how your vacation can help change lives.